MotoXAddicts | Cooksey’s Hard Truth: Season is over, what now? I am going to ignore the Puerto Rico Des Nations drama for now as it has become more than just a few guys fundraising money for a charitable cause. My biggest concern is whether or not the US team can protect our home turf. The debate over fastest man on the planet will be settled between Eli Tomac and Jeffery Herlings while they both try and lead their countries to glory. Typically, Herlings’ home team of the Netherlands is not considered a contender, but with the addition of South African/Netherlands rider Calvin Vlaanderen they appear to be the favorite. Will France stand by its moronic decision to leave Marvin Musquin off their team? 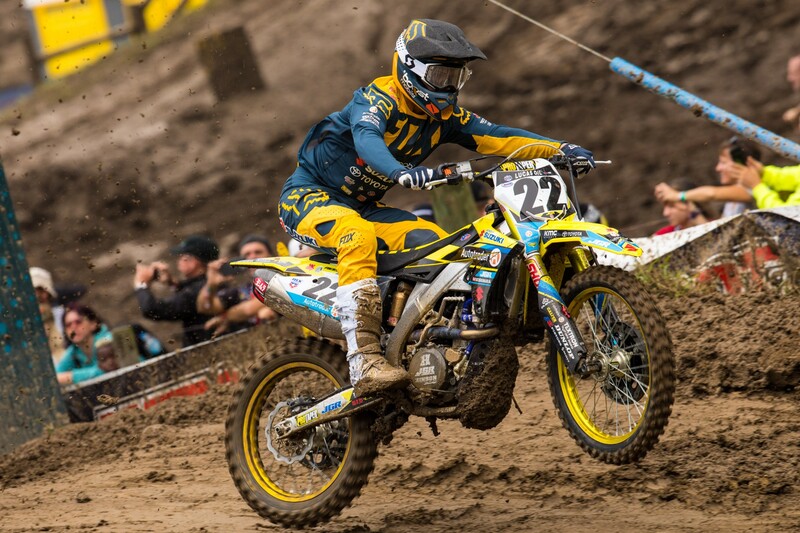 Will Chad Reed get one last chance to represent Australia? These storylines should keep us entertained leading up to the largest race ever held on American soil. Jefrrey Herlings (AMA #784 in 2017) got the best of Eli Tomac (#3) at both the Ironman National and at the Jacksonville USGP last year. We don’t think for a minute that Eli doesn’t want to try and knock the Dutchman down a notch at RedBud in October. 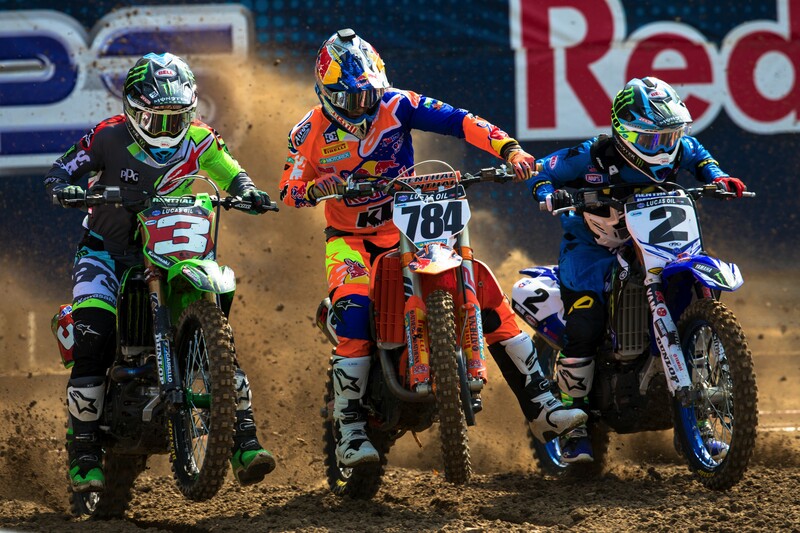 One week after the Des Nations everyone starts thinking Supercross again as we turn our attention to the Monster Cup. Will Marvin win another million? How many riders will debut with their new teams? 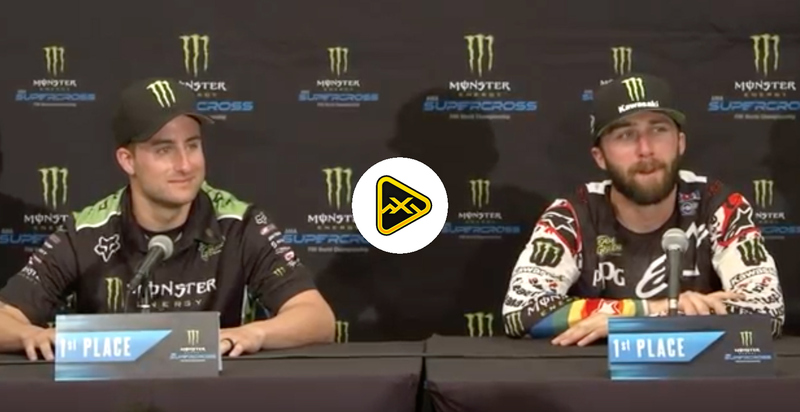 Will we see Joey Savatgy, Zach Osborne, Justin Hill and Aaron Plessinger make their 450 debut? How will Cooper Webb look on a Red Bull KTM, and how will he and Marvin Musquin keep from killing each other at the Baker’s Factory? How will Jason Anderson, Cooper Webb, Marvin Musquin and Zach Osborne all play nice while training under the watchful eye of Aldon Baker? KTM and Husqvarna might want to invest in a professional conflict counselor because getting these personalities to play nicely would be nothing short of a miracle. Roczen looks to be defying modern medicine and regaining his previous form; can he use the off-season races to close the gap to Eli Tomac? According to my sources, Ken Roczen is looking to race quite a bit this offseason and believes this is an opportunity to make up for the time he missed while being out injured. Chad Reed was impressive in his return to MX at Ironman, but it remains to be seen if JGR will take the former two-time Champ on for 2019 SX. 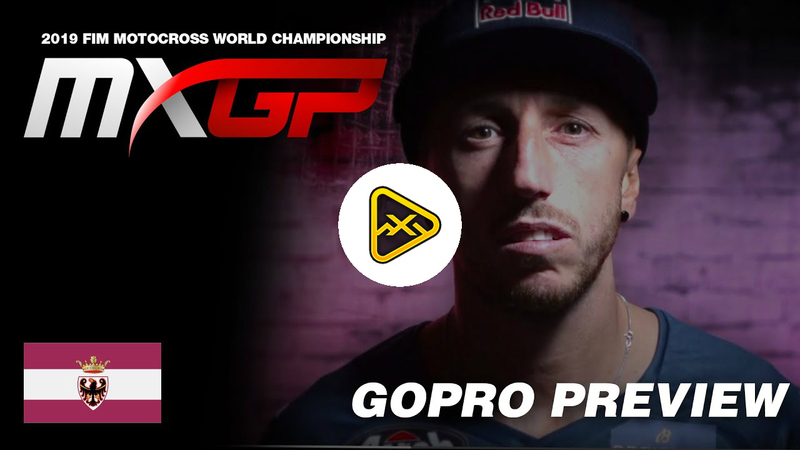 If code breaking is one of your hobbies, sharpen your skills over at @CRTwoTwo on Instagram. While the 2018 National Championships have been decided, the offseason isn’t much of a vacation for Motocross/Supercross stars. We often wonder why these guys burnout at a relatively young age, but if this is how they spend their free time, it’s no wonder. Racing purists frown on riders choosing to sign Supercross or Outdoor-only contracts, but every year the gap between the two disciplines grows. Looking to the future, I see these two disciplines having their own stand-alone specialists. I hear whispers of both manufactures and sponsors separating their resources getting louder and louder. Look for major changes to the Supercross series in the next couple years. Stay tuned because the off-season isn’t really an off-season. You can follow me @Chriscooksey61 on Instagram.